Somebody asked me about my Canyoning experience in Badian Cebu. I smiled and told him that it was an extreme adventure and really fun. He laughed out loud and said, you don’t know what an extreme adventure really means unless you get to Samar and experience the most instinctive way of experiencing an extreme adventure. I was speechless and wasn’t able to repulse. Just this month, I get the chance to try two of the most sought after adventure in Catbalogan City, Samar. The first one was the Canyoning in Brgy. San Andress, Catbalogan City, Samar and the second one was exploring the pristine beauty of the Central Cave. 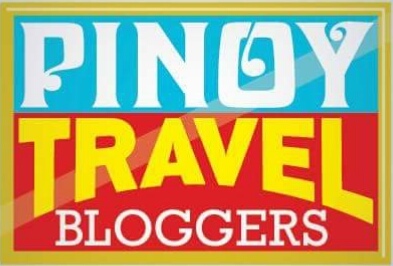 I’ll share first my Canyoning experience together with some of the most country’s finest travel bloggers. Sir Gian and Sheila from Adrenaline Romance, Fathema of Little Pinay Explorer and Halourd. Catbalogan City itself is one those places in the Philippines that never run out of extreme adventure to experience. You can return time and time again and there will always be something fantastic to experience — from lush rain-forests and waterfall pools at the end of the jungle trails and It is among the best spots for hiking and wildlife viewing. With so much choice, it can be tough making any decisions on things such as where to go and what to do. Probably, staying a month on the Samar Island to see and experience all what it has to offer would not be enough. Engaging yourself in an adventure like Canyoning, you should really pay attention on the itinerary to avoid time constraints along the way. Hence, we had our luscious breakfast by 7:30 AM and depart for the jump off point by 8:30 AM. At the jump off area, Sir Joni’s porters are already waiting there, and with their comforting smile, we were able to be friends with them. What I love about Sir Joni Abesamis, the adventurer itself and the man behind the Trexplore The Adventure is his genuine heart to help the locals by providing them a source of income through portering. That is a simple act of kindness and somehow have captured my attention. Sir Joni told us that we need to trek of approximately an hour to reach the drop off point of Canyoning. I was smiling and feel so energized and excited at the same time. The trail was easy, but you get to be very careful when you cross or step on the huge water pipe on the way cause it gets very slippery, especially when it rains. There is some part of the trail which is very muddy cause it was raining the day before we do our Canyoning adventure. Soon enough, we reached the jump off point, which is in the water system of Catbalogan City, where the water process is being done. I may have experienced Canyoning in Badian Cebu, but I haven’t tried rappelling on the Canyons, and according to Sir Gian of Adrenaline Romance, the Canyoning in Cebu was the easy one. Soon enough, Sir Joni taught us on how to rappel and we have to be familiar with our gear, especially the equipment that we are about to use. We had to practice before proceeding to the final adventure. I was really nervous since it was my first time, but I couldn’t deny the fact that I was so stimulated as well. Sir Joni also explains the Do’s and Don’ts of our Canyoning adventure before we headed off to the final leg of our exciting escapade. Canyoning Canyoneering or in Catbalogan, Samar is an outside activity that means heading down to a canyon. That seems pretty simple right? Merely the act of moving through a canyon is more involved than you might think because Canyoneering can be done by not just getting down to a Canyons but through a variety of means such as rappeling, trekking, diving, jumping, climbing, sliding and swimming. Does it sound easy now? Of course not, as this would require a great deal of courage and skills. But don’t worry having Sir Joni as your guide to help you do this would always be a dandy thing. This extreme adrenaline activities will usually last 3-4 hours depending on how many people you’re being with. And what makes it last for 4 hours is the unending searching for a good spot to have your selfie pictures and anything that seems good in your eyes. Apart from experiencing the whole frolic procedure, this is usually what we after for sometimes right? And who would have not love to capture every facial expression of your jump packed fear every time you jump along a high cliff and shout right? A rue on your part if you missed to capture every beautiful scenery and of course we don’t want it that way, so just enjoy and take photographs as much as you can when you do Canyoning. The feeling of seeing my crush during High School days was about the same feeling I got when we made our way to the mouth of Canyoneering. Shaken up, nervous, and the fear of heights is hovering above me. Then the most awaited time came, Sir Gian was the first to get down on the Canyon and going down, one should rappels the 10 meters high Canyon. I was the next one and I was trembling in awe. But before paying attention to my fear of heights, the unique form of canyon really caught my attention. It was really awesome, the sturdy downstream of water formed an astounding canyon that has perfect edges and bends of the crevice huge rock. The lagoon is having a touch of a green color because of the huge trees that covers the whole canyon. The water in the Canyon was just perfectly attractive. So right after I secure my harness and other necessary equipment. I began to rappel down the Canyon. I may have been smiling, but I was so nervous. But little by little, as I moved down, I have enjoyed it. When I get to the Canyon, the water was really cold and I started swimming. The first Challenge was successful and every one of us have made it. Hence, we continue on our adventure, we do river trekking until we get to another Canyon. River trekking is part of Canyoning and this should not be overlooked cause the trail is slippery, so be extra careful whenever you step on the immense rocks. We have reached the not so difficult, the sliding part, but really it didn’t slide the way I anticipated it to be. Perhaps because the rock was a bit rough and the water current wasn’t that strong, but just like a kid playing, I have enjoyed it. The 2nd canyon was not that high, but looks so great. It looks thinner than the first one. To get down, we still need to rappel and because we did the first challenge, the second one was a bit easy, but still, you have to be vigilant and extra careful. The 3rd canyon looks like a bit wide and looking down is a bit scary. Unlike the 2nd canyon, the water flows in a slope direction, but the 3rd canyon is different. It looks scary and challenging because you might have a hard time where to actually step your feet. The rocks look like being naturally sliced straightly. Everyone made the 3rd challenge as well. But one of our friends Halourd, didn’t actually rappel, he leaps out from the cliff that has 15 to 20 feet in height and fallen off to the deep cold lagoon. It seemed nothing to him, he appears like not even doubtful about what he has about to do. He might be really that brave, or perhaps because he is a Canyoneering guide in Cebu for a quite long already. Hence, we continue on our adventure and we trek going to the 4th canyon. Enduring to the 4th canyon was a bit slippery for I have almost fell down, but good thing I managed to balance myself. The 4th Canyon was seemed so high when you look at it from above and with all the green plants on the side. We actually still follow the same sequence. Sir Gian went first and I was next after him. That time, I feel like I’m no longer a little guy that fears about the height. I really feel like, finally I’m a big man now and I can do better. Soon enough, everyone made it down there and I feel like I’m already hungry. It was actually raining when we go down to the 4th Canyon, but not that strong. The 5th Canyon is truly challenging. The only means to get down is to jump in the Canyon like around 4 meters high. They told me that I jump first, but I was so nervous and frightened. I told Sir Gian to jump first, then I follow after him. Hence, I was next, I was trying to encourage myself silently. I was in fear, but I couldn’t run away from my fear, so I breathe deeply and jump. I was floating on the cold water, yelling at ate Sheila and Fathema as my way of cheering them that they can make it. I saw the sudden alteration of their normal skin color, they were in pale maybe because they were really afraid just like what I felt. But after several times of attempting to jump, but didn’t push through, they both have finally made it. Ate Sheila jump first, then Fathema followed as well. The 6th canyon was also challenging because we require to jump again, but the 5th canyon was a bit high compared to the 6th canyon. We really didn’t expect that we have to jump, we thought that we will just have to rappel, but Sir Joni jump first and it only means that we really get to jump. I was next to Sir Joni, and I still feel so nervous and scared. To jump, you need to step on the tree, which seemed to be a struggle because of your stance. It appears to be very challenging because you only own a limited space to move when you jump. But since I have made and survived the previous challenge, I couldn’t run from the challenge, but face it. Fortuitously, I have made it and my other friends as well. The mouth of the 7th canyon was slippery. You have to hold on a rope and step on a stable ground before jumping or you have to just rappel down the canyon. What I did was, I hold on a rope and find a stable footing, then jump since it wasn’t that high. Ate Sheila and Fathema might have gotten a chance to rest from jumping. Hence, they selected to actually just rappel down until they reach the Canyon. We were so happy when Sir Joni told us that we should get some rest and have our snacks. He has prepared some of the most delicious delicacies of Catbalogan for us. We have a sticky rice, wrapped with a local leaf of a plant, which we don’t know. And put some sauce on top it, which is made from sugar cane. We also have Moron, It is made of ground rice cooked in coconut milk, then flavored with chocolate and we also have Puto. Truly, our famished stomach was filled with luscious local snacks of Catbalogan. Since we filled our famished stomach, we are now proceeding forward to keep on our adventure. We actually have at long last reached the Bangon Falls, where we had our snacks a while ago. The 8th challenge is to actually leap out from the cliff of about 5 meters high and fallen off in the wide catching basin of the Bangon Falls. I might have gathered enough courage to genuinely try and decided that I should jump first. It was high enough that my knees are shuddering like crazy, but while shouting I love you mom as I was jumping, I was able to make it. Sir Gian was next after me, then ate Sheila and followed by Fatima, then Halourd then the last one was master Joni. We all have made the 8th challenge. Our adventure was not yet done as we still need to rappel down on the last canyon. Getting to the 9th canyon was really slippery, especially if you almost reached the edge of the canyon. You truly get to be very extra careful whenever you traipse your feet on a slippery rock. I guess the last canyon was the highest one that we have rappelled. As we all have reached down, we were all so happy and they keep talking about the extreme Canyoning adventure in Biliran, which is really extreme according to Sir Gian and ate Sheila of Adrenaline Romance. They have simply made me excited while listening to them. Hopefully, next year if I get the opportunity, I will surely accept the challenge. The final part of our adventure was trekking downstream until we finally have reached the exit area, then a little of ascending to the main pathway. We then trek a little bit to the drop off point, then ride a tricycle going to Sir Joni’s place. Soon after, we reached the house of Sir Joni, her wife had prepared a luscious lunch for all of us. It was 2:30 PM when we had our lunch and equally expected, we were all so hungry. It was around 6 pm, when Fathema of Little Pinay Explorer and I decided to amble around, and try the street food of Catbalogan City. Hence, we walk along the busy street of Catbalogan City, until we saw a food street vendor that sells Calamares for Php 3.00 each. It was really cheap and luscious as well. We also look into the famous Mussels BBQ of Catbalogan at the Romantic eatery. I couldn’t believe that the price was really cheap. Each Mussels BBQ stick is only Php 5.00 and if you buy 4 sticks, you’ll get one free stick of Mussels BBQ. Isn’t it a good deal? I actually very hesitate at first cause I only order for 2 sticks, then right after I tasted it, I ordered more. It was surprisingly very delicious. As we were about to have our dinner, Sir Joni also brought us to the overlooking restaurant in Catbalogan City, Samar. It’s a 10-15 minutes drive going to Orlando’s grill from the City and when reached there, the place looks so peaceful and great. We have enjoyed the view of the city lights while having our dinner. What I also enjoy about their food aside from its really delectable was the amount of serving per menu. The serving is truly big, which is good for 3-6 person per menu. – From 8 years old and above. Permits, Canyoning gear, Transportation, Food (Breakfast & Lunch). Only Sir Joni Abesamis Bonifacio of Trexplore the Adventures who is capable of operating and guiding the Canyoning adventure in Samar. He has all the necessary equipments and he is extremely skilled and he also has a well trained porters to insure your safety when doing this adventure. Can you see me putting this on our list, Padz? Haha! This is surely extremely fun just as we enjoyed our very own canyoning in Badian. What an adventure! I went Canyoning in Vietnam and loved it. This looks just as scenic and it would definitely conquer a fear of heights. Thanks for sharing this awesome option in the Philippines. I was first introduced to canyoning in Nepal but wouldn’t actually get to experience it for myself until earlier on this year, back in April, when I canyoned in Vietnam’s famous Dalat city known for its magnificent waterfalls. It was the BEST adventure experience I have ever had in my life and the water volume on ours were really really strong! Loved that you could enjoy dinner at your guide’s home! Gotta love Filipino hospitality! wow.. that’s quite an experience, love the combination of rapelling, diving and hiking through the river and canyon! The photos from the top are great to show what you are facing before going down! 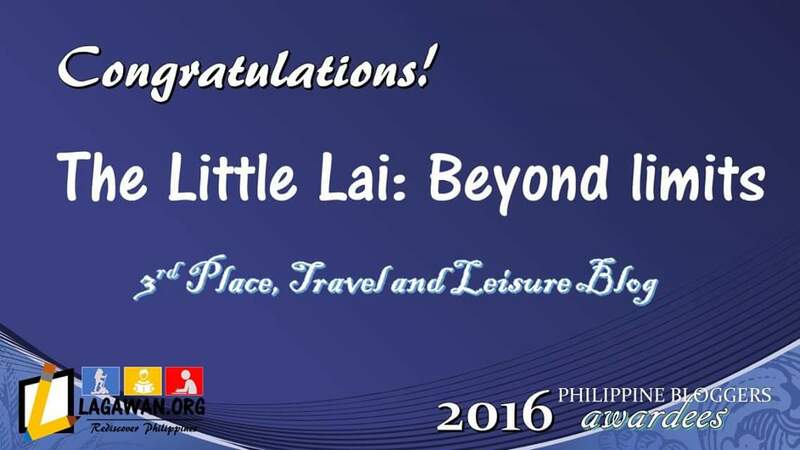 Another amazing adventure post by the Little Lai! Rappeling, canyoning and the jump off the 5 metre high cliff are so exciting! I am sure the trainer was really good and all the group members had enough faith to be able to execute the activities. the cost for canyoneering and caving … is it good for only one person? Gosh, I can see why this is an extreme sport and an adrenaline rush. It looks like great fun, but not for me! This is such a detailed post it makes it really easy for anyone to follow the info. You’re such a thrill seeker! I would love to try canyoning and the river trekking! Seems to much fun, amazing experience and an adventure! The street food looks really yummy and can’t believe how cheap it is too! Looks like so much fun! What an adventure, I’d love to try and conquer my fear of heights haha! This is so awesome! Canyoning in Samar is indeed a place to try for adventure. I hope to visit it one day and get to experience the thrill and adventure you have described. The pictures you have included says a lot about the experience. Thank you for sharing to us this adventure! Definitely for the adventurous! I have a fear of heights and I think if I were to conquer 9 canyons I’d get over it as well. This is one of the most comprehensive travel posts I’ve read so far. Bookmarking not just for myself but for friends who I know will be interested in this! That’s truly an adventure, however I would be happy to just stay near the river and take some photos and experience to swim in the river. Canyoning is not yet my cup of tea. But the falls is gorgeous! I can’t swim so when it comes to water adventure i get Always a bit nervous. But I have to say that once I tried canoeing and once won my nervousness it became wonderfull! You have the most exciting adventures! And Sir Joni sounds like an amazing guide! I had never heard of canyoning before reading this post. It seems like such a fun thing to do.